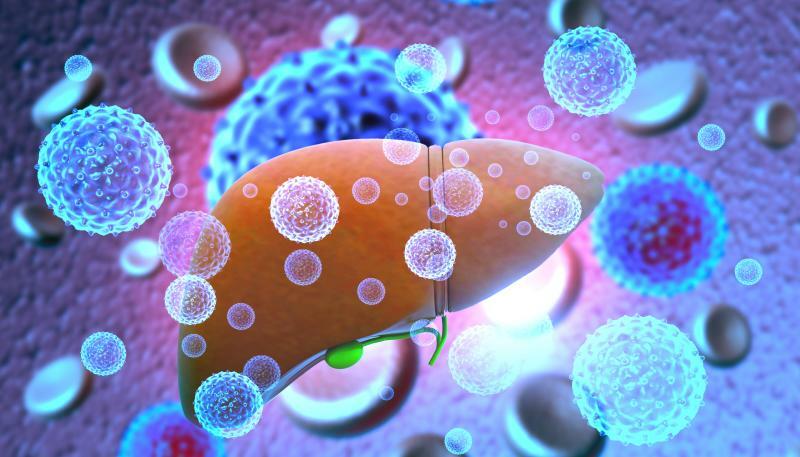 A recent study has shown that the short-term efficacy of tenofovir disoproxil fumarate (TDF) is superior to entecavir (ETV) for the treatment of acute-on-chronic-liver failure (ACLF) due to reactivation of chronic hepatitis B (CHB). Moreover, white blood cell count and hepatitis B virus (HBV)-DNA reduction at 2 weeks independently predict mortality at 3 months. At 2 weeks, patients in the TDF vs ETV group had significantly higher HBV-DNA reduction (p=0.003), lower HBV-DNA level (p=0.001), higher rate of HBV-DNA undetectability (p=0.007), lower Child-Turcotte-Pugh (CTP; p=0.003) and model for end-stage liver disease scores (p=0.002). At 3 months, all survivors had undetectable HBV-DNA, while CTP (p=0.970) and model for end-stage liver disease scores (p=0.192) were comparable between the two groups but markedly lower compared with baseline values (p<0.01). In addition, cumulative survival rate was significantly higher in the TDF vs ETV group (p=0.025). White blood cell count (hazard ratio [HR], 2.726; 95 percent CI, 2.691–7.897; p=0.000) and HBV-DNA reduction (HR, 0.266; 0.033–0.629; p=0.013) at 2 weeks independently predicted mortality. The two study drugs were well tolerated. In this study, a total of 67 consecutive patients with HBV-ACLF were assigned to groups receiving daily TDF (300 mg/d; n=32) or daily ETV (0.5 mg/d; n=35). Researchers prospectively followed these patients. Overall survival at 3 months was the primary endpoint. “ACLF can be triggered by reactivation of CHB. TDF and ETV are now the most potent antiviral agents for CHB,” according to researchers.